Amazon Great Indian Festival Sale is now open for all customers. The sale will run for five days till October 15. In this lister, we have covered the best deals that platform has on smart home devices such as Amazon Echo Dot, smart bulbs and more. Amazon's Great Indian Festival Sale is now live and open for all customers from today. The sale has a lot of offers and discounts on a wide range of gadgets that includes TVs, large appliances, laptops, smartphones and more. Here we have listed some of the best smart home devices deals that are currently available on Amazon’s Great Indian Festival Sale. The Amazon Echo Dot is a smart speaker that connects to the company's digital assistant, Alexa. It can play music, check the weather, control smart lights and more. It has an AUX port as well that allows you to connect the device to an external speaker. This is the latest Echo Dot model, which is now available for a pre-order with a discount of Rs 1,499. View deal here. The Amazon Echo Dot (2nd Gen) is a predecessor of the Amazon Echo Dot 3rd Gen. It is also a smart speaker that can be controlled using a voice command. The speaker was launched at Rs 4,499 and now available on the sale at Rs 2,499. View deal here. The All-new Echo Plus (2nd Gen) was recently introduced in India with a price tag of Rs 14,999. The speaker has a completely new design in comparison to its 1st Gen Echo Plus. As per the company, the speaker offers improved sound, which is powered by Dolby Audio. The device is now available at a discounted price of Rs 11,999. View deal here. 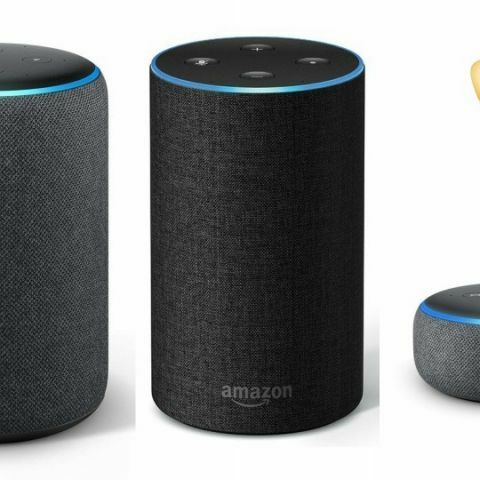 The Amazon Echo is also a smart speaker that connects to the company's digital assistant, Alexa that can play music, book a cab, set alarms and do a lot more. The speaker is available with a flat Rs 3,000 discount during the sale. View deal here. The Thrumm WiFi Smart socket can be paired with either Alexa or Google Home products, which allows you to operate the socket via voice control. Users can also control the device from their smartphones from anywhere in the world. The socket can be used to connecting TVs, microwave, refrigerator and more. View deal here. The Philips Hue 9.5W E27 Bulb is a wireless bulb that can be controlled from any smart device. The bulb is available on sale with a flat Rs 1,000 discount. View deal here.